More and more the template for a spy film is “action first, story later–if at all.” This has mostly to do with the new opportunities provided by technology, but it also says something about contemporary audiences. Old school spy stories are intended to be convoluted, meandering whodunits, and vagueness doesn’t sit well with modern viewers, myself included. 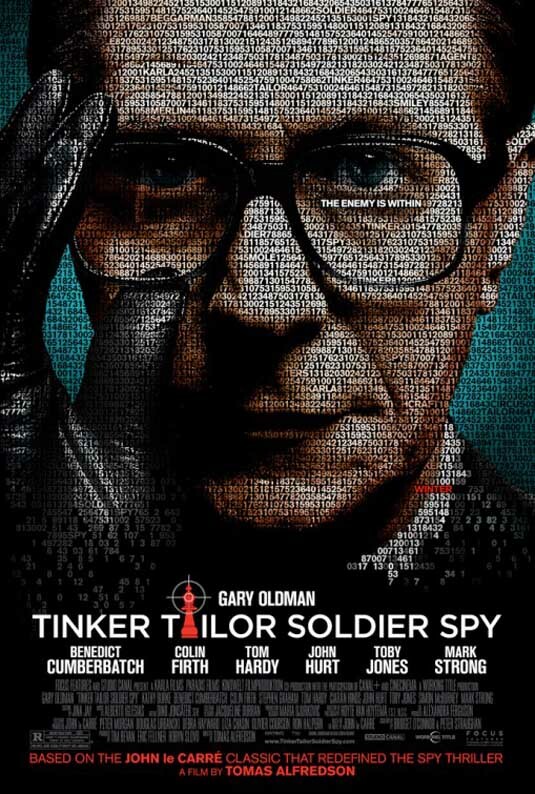 That said, anybody who puts Tinker Tailor Soldier Spy next to, for instance, Mission Impossible – Ghost Protocol will quickly come to appreciate the nuanced origins of the spy thriller. Tinker Tailor–Tomas Alfredson‘s follow-up to the critically successful and successfully recycled for American audiences Let the Right One In--is moody and stylish, recalling the lost art of skillful ambiguity.